Governor Brown just signed a bill requiring the City and County of San Francisco and the other eight Bay Area counties to conduct a special election to increase the toll rate charged on state-owned bridges within the region. 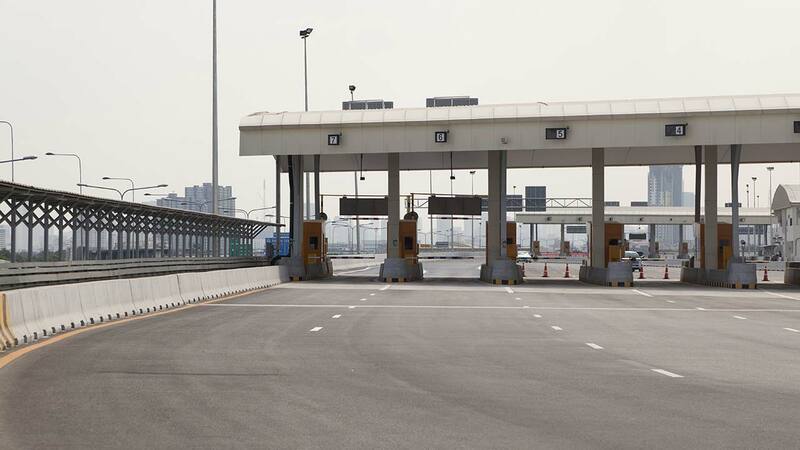 If approved by a majority of the voters, tolls on the seven state-owned toll bridges would go up by up to $3. g) San Francisco-Oakland Bay Bridge. Senate Bill 595 was authored by Senator Jim Beall, D-San Jose. In his written argument for the bill he cites the need to address the Bay Area's infamous traffic congestion problems. Beall writes, "transportation infrastructure is key to supporting the San Francisco Bay Area's strong economy and maintaining California's leadership in high-tech and high-paying jobs. Traffic congestion on the region's freeways, overcrowding on BART, Caltrain, ferries and buses in the toll bridge corridors is eroding the Bay Area's quality of life, access to jobs, cultural and educational opportunities, and undermining job creation and retention. The traffic choke points are especially acute in the corridors of the seven state-owned toll bridges that are critical east-west and north-south arteries that bind the Bay Area together." 1) BART Expansion Cars: $500 million. 2) Bay Area Corridor Express Lanes: $300 million. 3) Goods Movement and Mitigation: $160 million. 4) San Francisco Bay Trail/Safe Routes to Transit: $150 million. 5) Ferry Enhancement Program: $300 million. 6) BART to San Jose Phase Two: $375 million. 7) Sonoma-Marin Area Rail Transit District: $40 million. 8) Capitol Corridor: $90 million. 9) Caltrain Downtown Extension: $325 million. 10) MUNI Fleet Expansion and Facilities: $140 million. 11) Core Capacity Transit Improvements: $140 million. 12) Alameda-Contra Costa Transit District: $100 million. 13) Transbay Rail Crossing: $50 million. 14) Tri-Valley Transit Access Improvements: $100 million. 15) Eastridge to BART Regional Connector: $130 million. 16) San Jose Diridon Station: $100 million. 17) Dumbarton Corridor Improvements: $130 million. 18) Highway 101/State Route 92 Interchange: $50 million. 19) Contra Costa Interstate 680/State Route 4 Interchange Improvements: $210 million. 20) Highway 101-Marin/Sonoma Narrows: $120 million. 21) Solano County Interstate 80/Interstate 680/State Route 12 Interchange Project: $150 million. 22) Interstate 80 Westbound Truck Scales: $105 million. 23) State Route 37 Improvements: $100 million. 24) San Rafael Transit Center: $30 million. 25) Richmond-San Rafael Bridge Access Improvements: $210 million. 26) North Bay Transit Access Improvements: $100 million. 27) State Route 29: $20 million. 28) Next-Generation Clipper Transit Fare Payment System: $50 million. 29) Interstate 680/Interstate 880/Route 262 Freeway Connector: $15 million. 30) Interstate 780/State Route 84 Interchange Reconstruction Project: $85 million. 31) Interstate 80 Transit Improvements: $25 million. 32) Byron Highway-Vasco Road Airport Connector: $10 million. 33) Vasco Road Safety Improvements: $15 million. 34) East Contra Costa County Transit Intermodal Center: $15 million. 35) Interstate 680 Transit Improvements: $10 million.